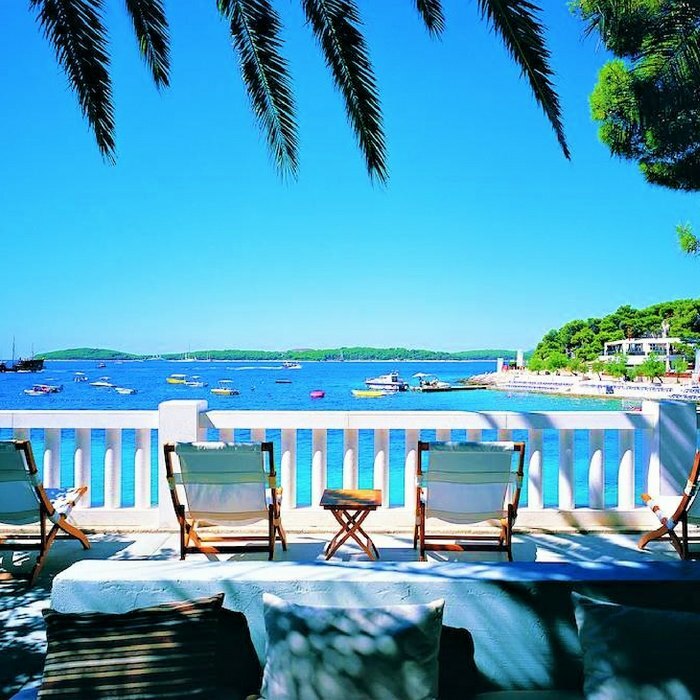 Hvar Island is undoubtedly Croatia’s top summer resort. It has earned a reputation for being the playground of the rich and famous, and its harbour is filled with expensive mega-yachts that provide the proof. 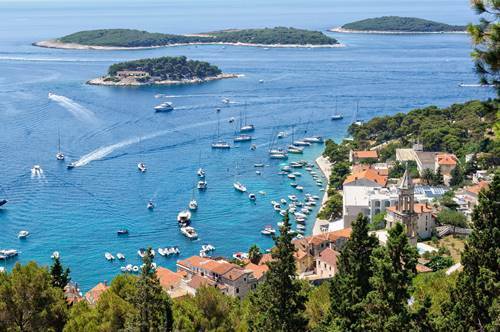 Contrary to outward appearances Hvar is more than a holiday hotspot for millionaires and celebrities. It’s an intriguing destination that offers access to history, culture, peace and tranquility. One of the island’s main attractions is its beautiful port town. Hvar Town boasts 13th century walls, a hilltop medieval fortress and a Renaissance era Cathedral. The island is also well known for its fragrant inland lavender fields. Croatia’s longest and sunniest island is situated in the central Dalmatian archipelago and offers easy access to the beautiful islands of Pakleni. The climate on Hvar is typically Mediterranean and perfect for a relaxing retreat. Excursions and private guided tours to Stari Grad, Jelsa and Vrbovska offer an opportunity to explore some of the island’s hidden gems. To get a real feel for island life in Hvar, visit the cultural landmarks and historic attractions that make the popular Croatian resort so interesting and appealing. There are also many picturesque beaches and bays to explore at your own pace. In the countryside, you can admire the lush vineyards and olive groves and smell the scent of fragrant lavender in the air. 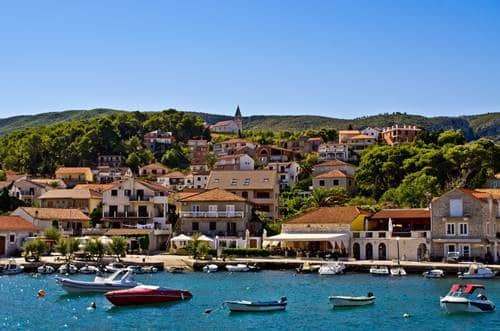 To explore and experience Hvar’s jet set reputation, head for the vibrant selection of stylish and elegant upmarket cafes, bars and restaurants that are dotted around the beautiful harbour and in the historic Old Town. 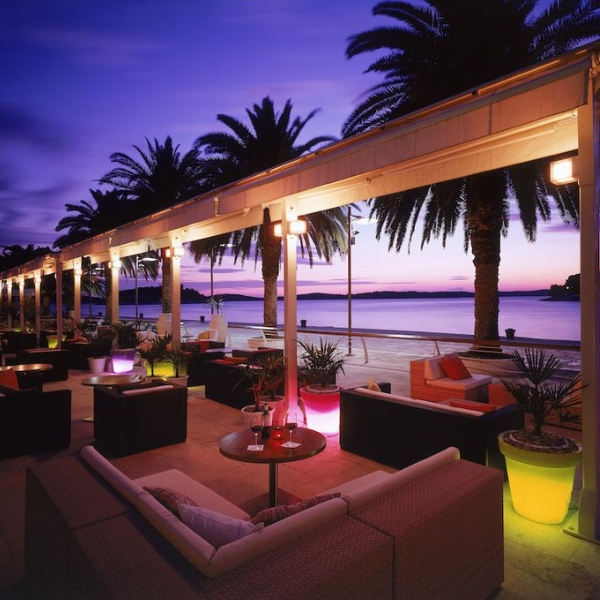 The world-class restaurants in Hvar serve delicious classic Croatian and Mediterranean inspired dishes, and also boast extensive wine lists. Budget friendly eateries can also be found nestled in the charming side streets. Once you’ve tasted life in Hvar, you will definitely want to visit the beautiful sun-kissed island again. 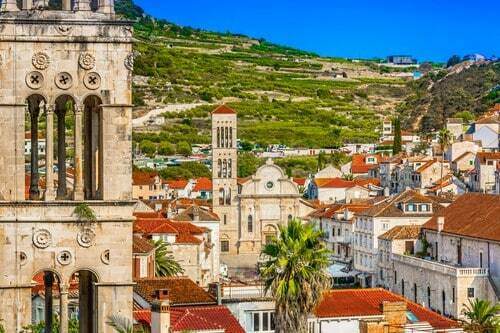 Located on the sunny island of Hvar, Stari Grad is one of the oldest towns in Croatia. It has a rich history and spectacular landscapes that feature lush vineyards and olive groves. Wander around the town’s charming small square and visit the church of St Nicolas. Also worth exploring is the tiny town of Jelsa, which is nestled between two of the highest mountains in Hvar. Jelsa boasts beautiful tranquil beaches that are perfect for relaxing sunbathing, or activities like swimming and snorkelling. Hvar’s Old Town is always a busy hub of activity. It attracts an estimated 20,000 visitors per day during peak season. 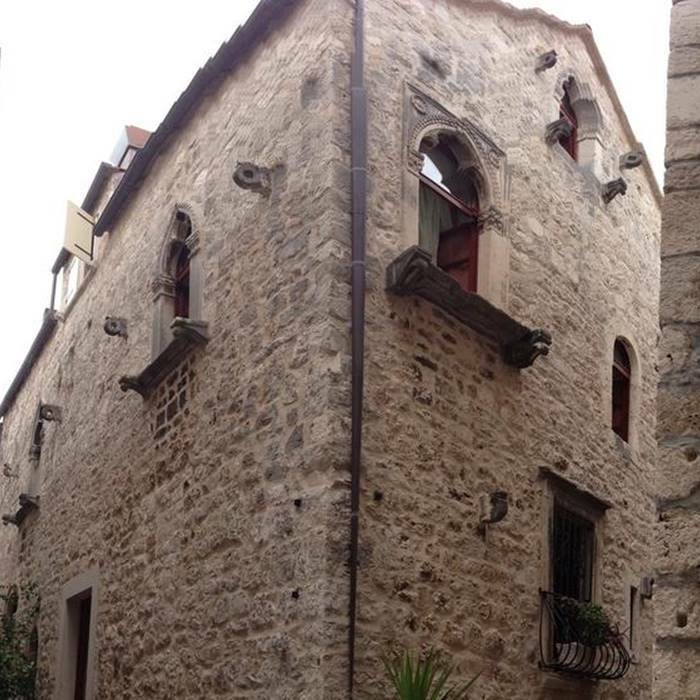 Ancient 13th century walls surround the heart of the Old Town. Take a tour of the elegant Piazza and wander along the marble pedestrianised streets that lead you to discover many interesting sights. Visit St. Stephan’s Cathedral, and admire the ornate architecture of the town’s Gothic palaces. 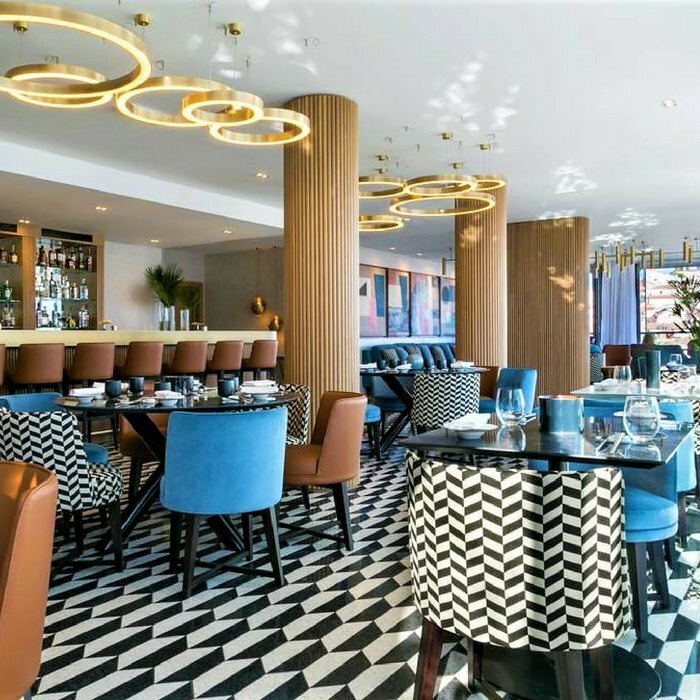 You will also find a good selection of stylish cafes, bars and restaurants. Locally known as Spanjola, Fortress Fortica was built in 16th century. The ancient fortress looms high above the town and served as protection for the castle. The castle occupies the site of an Illyrian settlement that dates back to 500BC. 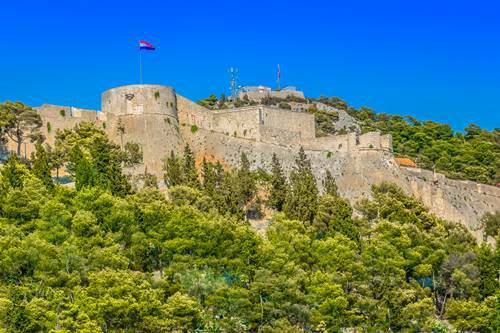 From the fortress’s summit you can enjoy breathtaking views over Hvar and the neighbouring Pakleni Islands. Inside the fortress are collections of medieval amphora and other antiquities. There is also a quaint terrace café where you can enjoy refreshments and beautiful vistas. The Pakleni Islands are located directly opposite Hvar harbour’s entrance and promise an idyllic retreat and castaway experience. 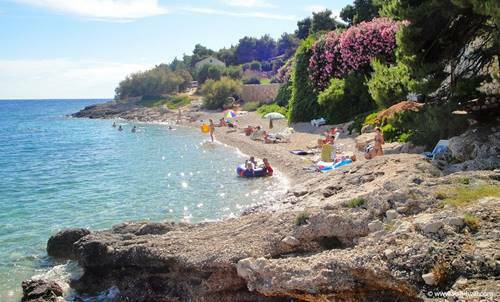 The islands comprise of a chain of wooded isles that stretches out in front of Hvar Town. Hidden beaches, secluded coves and deserted lagoons are waiting to be discovered by you. On a day trip to the Pakleni Islands you can escape from reality and soak up the sun on a gorgeous sun-bleached pebble beach. The calm aquamarine waters are crystalline and inviting. Being the sunniest island in Croatia, Hvar is the perfect place to soak up the sunshine and get a tan. On an exploration of the nearby traditional village of Velo Grablje, you can enjoy the heady scent of sun-kissed lavender growing in the fields. During June, the village plays host to the annual Lavender Festival. Learn all about the island’s lavender production history and buy some products to take home as souvenirs. You can also join an olive oil tasting tour. The Restaurant Black Pepper has earned a reputation for delivering creative local food in a welcoming environment. Compared to most eateries in Hvar, its menu is compact and concise, and playfully encourages diners to sample traditional Croatian delicacies, like octopus. The restaurant is perched on a cobbled street that leads directly to the waterfront. On the elegant terrace, you can enjoy classic dishes with a modern twist, whilst admiring the stunning scenery. For amazing food and friendly service, this is a great place to dine. One of the best things about travel is the opportunity to taste new flavours and to sample dishes that are local and authentic. Run by a chef who has travelled the world providing private catering to the rich and famous, on board luxury mega yachts, the Fig Café offers a unique dining experience. 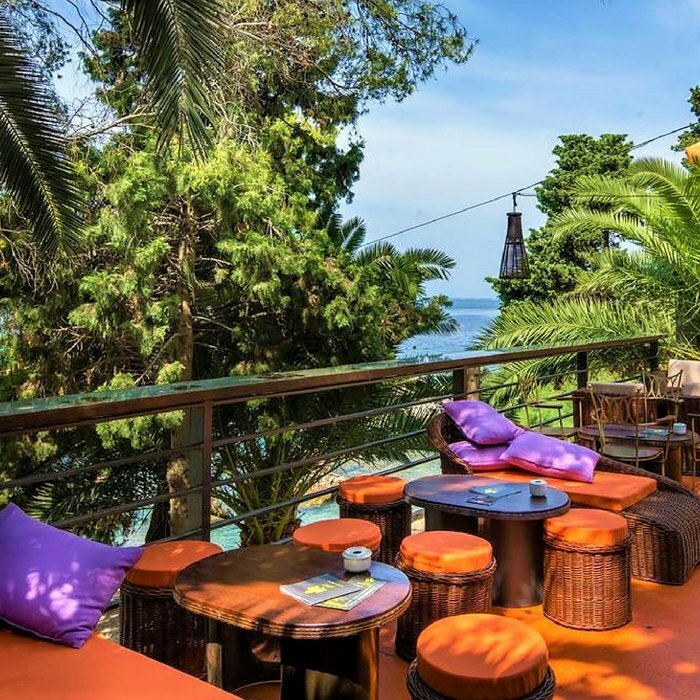 The café is situated on a side street in downtown Hvar and features a diverse mix of Mexican, North American, Croatian and Mediterranean flavours on the menu. Expect an authentic friendly Croatian welcome at the Dalmatino restaurant. The tasty food on offer is refreshingly simple, and made with locally sourced fresh ingredients and produce. Although primarily known as a steak and fish house, there are also plenty of delicious vegetarian options available on the menu. As the restaurant is usually very busy, it’s worth reserving a table to ensure that you don’t miss out on an opportunity to sample the classic Croatian cuisine and the free-flowing rakija (grappa). Conveniently located near to Hvar’s harbour, the Restaurant Mediterraneo boasts a unique and distinctive culinary style. Classic Croatian cuisine has been updated for your enjoyment. Fish and meat dishes make up the bulk of the menu, with a selection of alternative options for vegetarians also available. Take a table inside or dine in the pretty courtyard. Enjoy a chilled beverage and picturesque views of the charming little villages that surround the harbour. The restaurant’s extensive wine list features many popular locally produced wines.